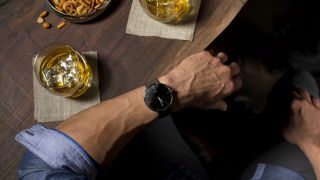 Google has moved quickly to issue a workaround for a serious issue preventing early Android Wear adopters from using paid apps on their device. It emerged earlier this week that paid Android apps leave the DRM encryption element behind when transferred to an Android Wear device via Bluetooth. Translate: paid content didn't work. As a result, Google is promising a fix, but in the meantime has advised app developers to move the encryption files to a different portion of the app in order for the transfer to be successful. In a post on the Android Developers' blog Google advised users to move the APK from the "assets" directory folder into the "res/raw" directory in order for paid apps to work. For those users who've snapped up a Samsung Gear Live or an LG G Watch, you should be able to access those paid-for apps sooner rather than later as developers make the adjustments. Google has yet to release details of when it'll bring the full fix into place, but has promised it in a future update. The blog post read: "We will be updating the 'wearApp' Gradle rule in a future update to the Android SDK build tools ... We're working to make this easier for you in the future, and we apologize for the inconvenience."